After angering his father, Zeus, the god Apollo is cast down from Olympus. Weak and disoriented, he lands in New York City as a regular teenage boy. 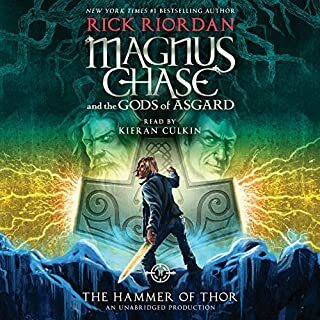 Now, without his godly powers, the 4,000-year-old deity must learn to survive in the modern world until he can somehow find a way to regain Zeus' favor. But Apollo has many enemies - gods, monsters, and mortals who would love to see the former Olympian permanently destroyed. 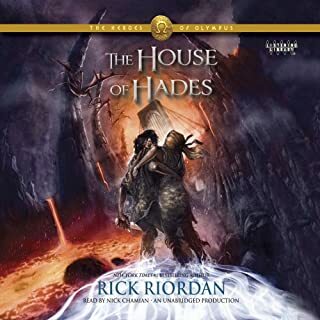 Apollo needs help, and he can think of only one place to go...an enclave of modern demigods known as Camp Half-Blood. 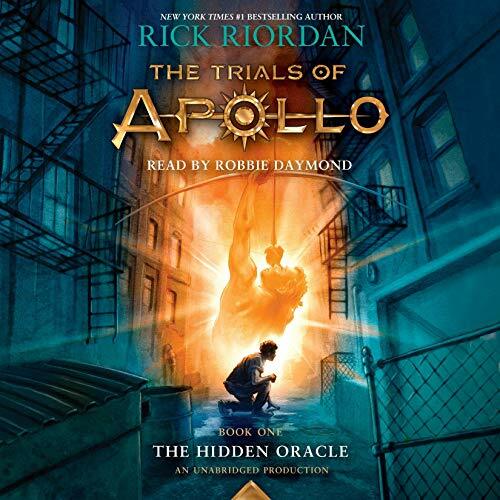 What made the experience of listening to The Trials of Apollo, Book One: The Hidden Oracle the most enjoyable? 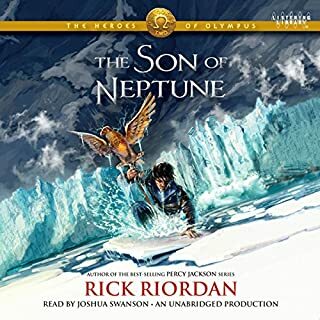 Rick Riordan did it again! He brought us a new series that leaves us vying for more! 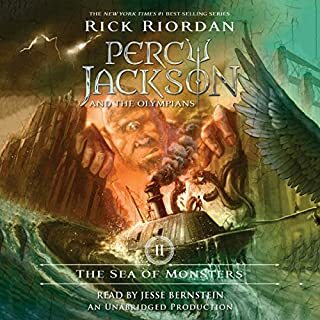 Sadly, I finished the book quickly after I started, which means I have to wait another year for the next book :( But this series is going to be great! I love the character development throughout the book. The book brings us a slew of new characters, yet with enough familiar characters to make us smile. 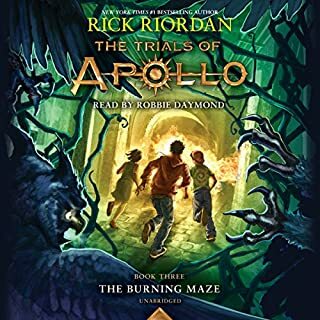 What was one of the most memorable moments of The Trials of Apollo, Book One: The Hidden Oracle? The most memorable part that sticks in my mind is probably how narcissistic Apollo is at the start of the book, and how he grows into a character that cares for others and is willing to put others first. What does Robbie Daymond bring to the story that you wouldn’t experience if you just read the book? Robbie Daymond did a great job of reading the characters voices. It really brought the story to life. 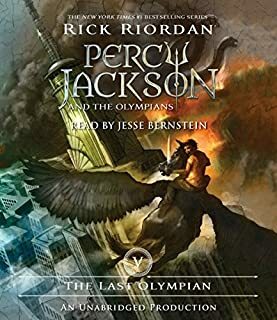 As much as I love Percy, Anabeth, and the 7 demigods, I like that Riordan has given them a little bit of a break from having the fate of the universe on their shoulders. They deserve a break... I mean poor Percy! every time he wants to have a normal life, the world is ending and he has to save it... So I am glad he has taken a break from that. Even so, I am glad that we find out snippets of what is going on in our favorite characters lives since Gaia tried to rise. Its neat to see what they are up to! 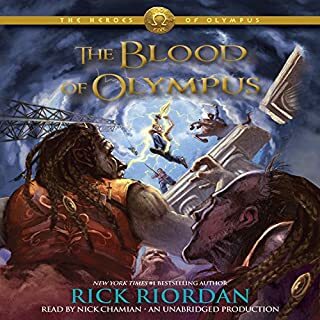 The world of Camp Half Blood is once again filled with the drama and adventure that makes Rick Riordan's YA novels thrilling for readers/listeners young and slightly older. 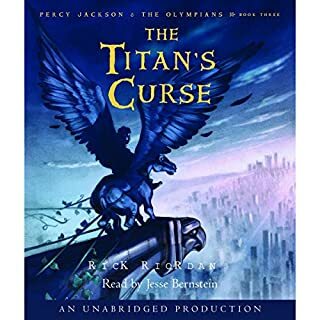 This new series revives the humor and unique perspective that made the original Percy Jackson series so great. But what impresses me more is the fact that Listening Library has finally cast another quality narrator. 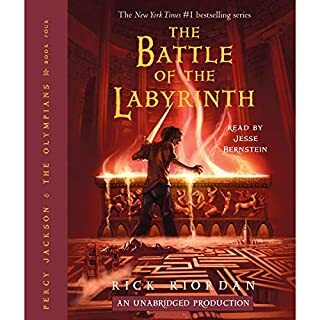 After sending listeners through disappointing series of narrators in Heroes of Olympus and the new Magnus Chase, Robbie Daymond finally gets Riordan's style and characters right. I'm an adult (with a Grandson who LOVES these books! ), and I certainly enjoyed finding and promoting an author who quickens and enriches kids' appreciation of mythology. But, can he produce that quality over and over again? Well, yes, apparently! "Apollo" is a case in point: there's reference to earlier books and some overlap of familiar and loved characters; new characters are just as sympathetic (or horrifying!) 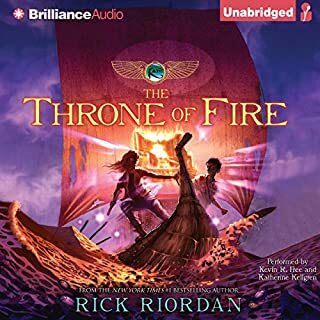 and fresh as in earlier series; and Riordan's enthusiasm for myth and expanded detail seems not to have diminished at all. I always wonder if kids really "get" his many jokes and references devoted to the 1960's and '70's, but, if you can go by my grandchildren's reactions, these seem not to phase them at all or reduce enjoyment. If those babyboomer sections are skipped over, there are still plenty of age-appropriate bits of humor and current pop culture quips to please the target audience. We all loved, for instance, this book's mention of "Groot", and my grandkids are now running around shouting "Peaches!" at every opportunity. And, thank you, thank you for this new narrator! While still sounding appropriately like a youngster, Robbie Daymond's delivery is so much less cartoonish than the previous reader. He interprets all the characters well and brings the whole thing to life for listeners of any age. 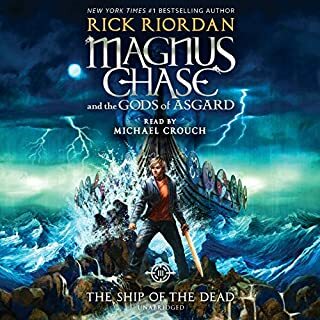 Rick Riordan deserves his fame and success. I wasn't sure about this book at first. But, since I love the other Olympian books, I gave it a shot. Riordan stunned again. At times, you hate Apollo, at others, you want to cry for him and what he's been through. Admittedly, there were a few soapbox moments, but they didn't detract from the plot and were funny and appropriate. 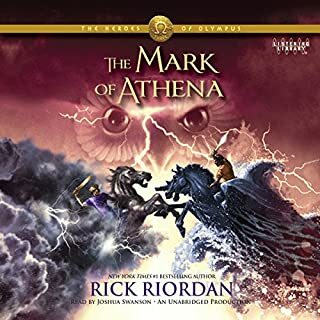 Told from the perspective of Apollo, this story has much to offer the fans of Riordian's other series featuring Roman Greek demigods. Unfortunately, the narrator was the death knell for this audible book. The narrator was bland, lacking color and animation. I suggest you skip this audible and read the book yourself. 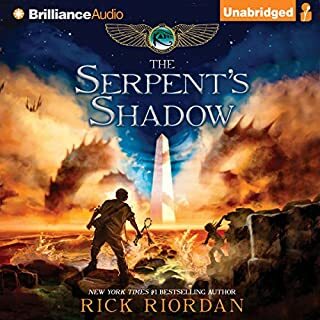 I've enjoyed this Riordan more than I have in a long time, largely due to the new character/conceit of the mortal awkward teen Apollo, and the outstanding narration. My 14 year old loved this one too and is determined not to outgrow the series. Although it was fun to have glimpses of other characters from past series, I enjoyed the focus on Apollo and his reluctant and self-absorbed (re)beginnings in his teen incarnation. 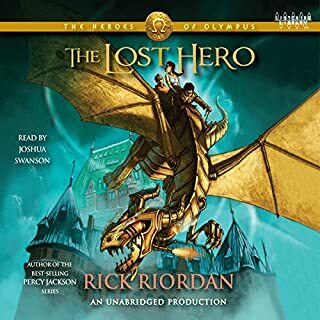 I just loved the narrator too, which seems to be the difference in the Riordan world between good and great audiobooks. Interesting concept. Fairly well written. It's repetitive in parts. Worthwhile listen if you're into fantasy books. We get to see the world through the eyes of an ex god, reconnect with our favorite demigods, meet the new face of evil, and meet some amazing new characters. I also extremely appreciate the very respectful portrayal of a young bisexual boy, and the true natures of the gods. 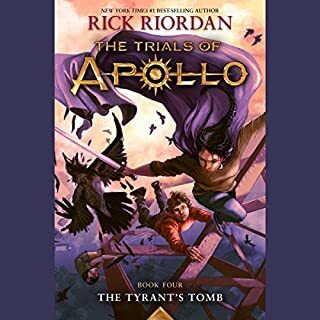 What did you love best about The Trials of Apollo, Book One: The Hidden Oracle? 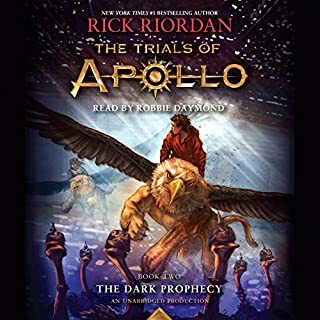 What other book might you compare The Trials of Apollo, Book One: The Hidden Oracle to and why? 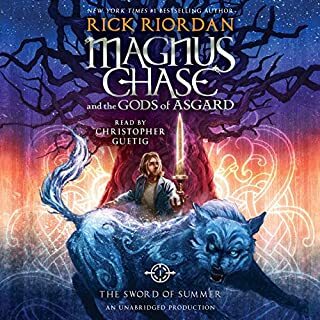 This book was fantastic and anyone who loves Greek mythology with a modern twist will love this book. Robbie Daymond's performance was stellar. My children and I have enjoyed all but one of the readers for Riordan's books, but Damon's performance was exceptional. His ability to create such completely different voices, tones, inflections, and accents for each character is really impressive and entertaining. I'll be looking forward to more of this voice actor's work. Also, this is my favorite Riordan book so far. It brought back some of our most favorite characters from past series, but they didn't steal the show which I thought was great. 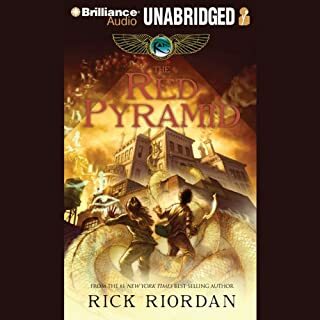 Riordan also created new, richly described characters with endearing quirks and flaws.